We are seeing many lives touched throughout the nation. 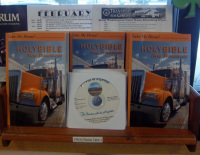 Bibles and CD's are flying off the shelves - some faster than we can refill the display! 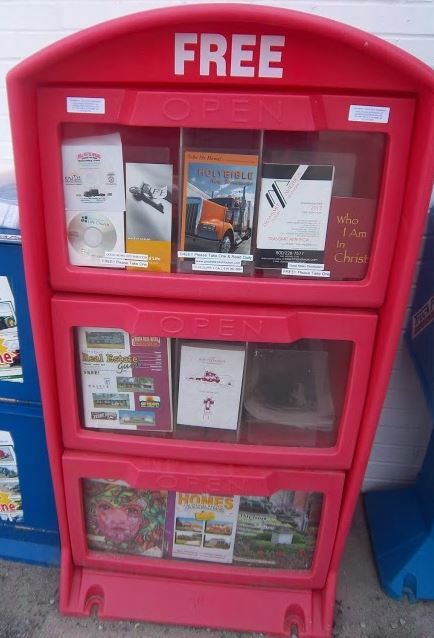 Have you ever noticed a bible rack or christian resource box at a chapel or restaurant, gas station or truck stop? 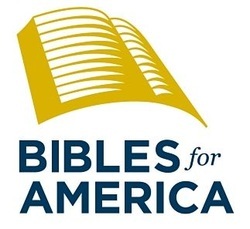 Who brings Bibles there to be given for free? Who brings materials to each of these sites? We do and you can to. 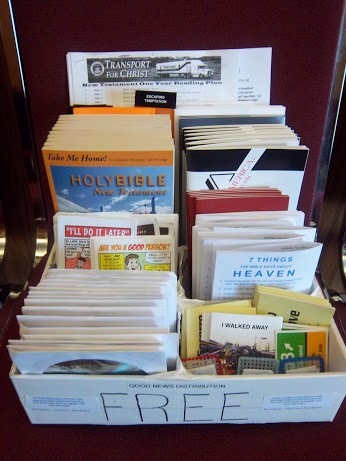 We are using many types of shelves, racks and boxes to display all of these free resources. And people are picking them up!